Competition in business is fierce, so to get your name out there to the right customers you need to advertise and market yourself in the right way. There are lots of different types of marketing and the methods you choose will depend on your business, however here are just a few to consider. Video marketing has really taken off in recent years, with video being the most consumed form of digital media. Studies have shown that if you include a video on a landing page of your website, it can increase your conversions by a whopping 800%. Video can quite literally influence customers buying behavior- something you can’t afford to ignore as a company owner. Not only does video builds trust and credibility, but they’re very search engine friendly so just by including them on your site can help to boost your page rank. As with anything, you will need to go about doing this in the right way, use a professional company to create your video content so that it looks smart and professional. In the past, blogs were a place for people to write about the things they loved and were purely created as a hobby, whereas these days they can earn their authors significant money. Business owners are becoming increasingly aware of how influential bloggers can be, one way you can boost your marketing strategy is by incorporating blogger outreach. You could build relationships with a number of bloggers, or simply work with them on a one- off basis. If you look online, there’s a formula for how much you should offer them based on their domain authority- having this kind of figure in mind can be helpful so you know you’re paying the correct amount. Social media is excellent for businesses; as well as promotion it’s also another form of contact and you can speak to your customers on a more personal level. Social media sites like Facebook give you the option to have a review tab on your page, meaning that others can see real reviews from people which (providing they are good reviews!) can massively help your business. Run your sites correctly, deal with customer complaints and queries quickly and professionally. If you run competitions and giveaways where people have to follow you in order to be in with a chance of winning, you can bump up your followers too. The more followers you have, the more people that will see your marketing materials when you post them. Marketing is incredibly tricky, search engines change the parameters all the time of what’s acceptable and so outdated methods could actually hinder rather than help your business. If you’re not skilled and experienced in this yourself, it’s worth hiring a professional. A marketing agency will know the best methods to use for your particular business. They can help with tricky topics such as search engine optimization for marijuana & cannabis, gambling or other content that has strict digital advertising regulations. If you’re unsure, don’t just guess at it. While there are many options out there find one you can trust and that is specific to your niche. While there are great tools out there such as Moz, Ahrefs, SEMrush and Majestic, it is a lot of work and can be much easier to concentrate on your core business. Marketing is a difficult and every changing business. Online marketing is even more complex and changes weekly if not daily. It is often better to outsource your marketing and nobody knows it better than online marketing expert Neil Patel. He say first you need to find a consultant that you can trust. Take a look at their website and testimonials. Look for reviews and see if they are credible. Search Google Maps and see if they have any local review. Then search Google for their business and make sure they show up highly ranked for their site. After all, if they are not ranking for their own business that they are in then they probably are not the ones for your business. Next, find them on LinkedIn and see how they market themselves professionally. 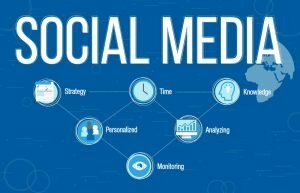 Lastly, search their social media presence such as Facebook, Twitter, Youtube and Google+ to see if they are successfully using social media. Marketing is incredibly important, without it customers simply won’t be able to find your business. If you want to thrive and turn a profit, this is an element of your business you absolutely have to get right.